The 7.62x51mm NATO has been in military service since 1954, and continues to be one of the best rounds available. 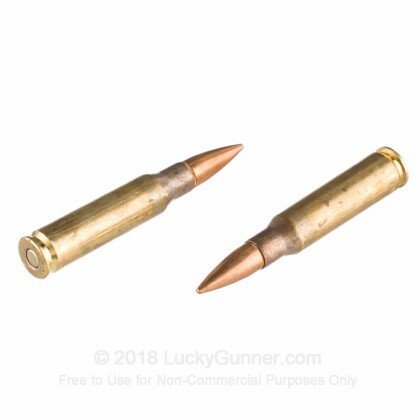 Originally designed for the M14 and M60, the 7.62x51mm NATO has gone on to be used in several modern rifles, and it is a great option for long range target shooting and hunting applications. 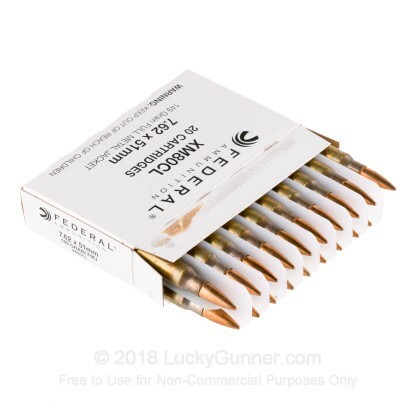 Federal has been around since 1922, providing superior quality ammunition to all of America. 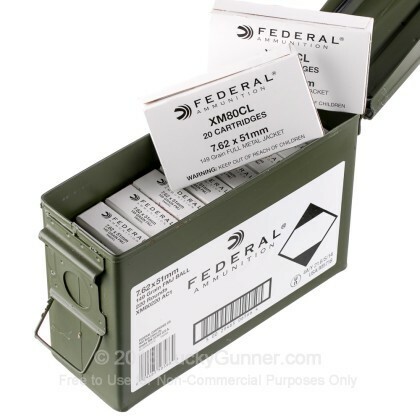 Headquartered in Anoka, Minnesota, Federal's ammunition is loaded in a few locations throughout the USA with these Mil-spec rounds coming from Lake City Army Ammunition Plant in Independence, Missouri. 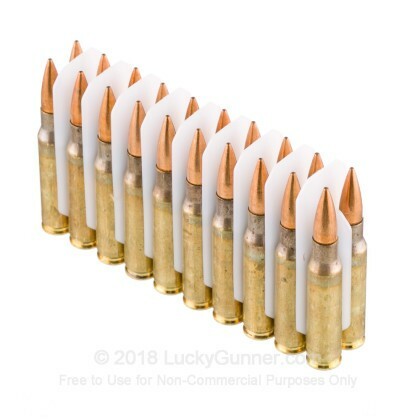 These 149 grain full metal jacket rounds are loaded to the M80 NATO designation and have the accuracy and reliability you need to have a successful and fun time at the range. 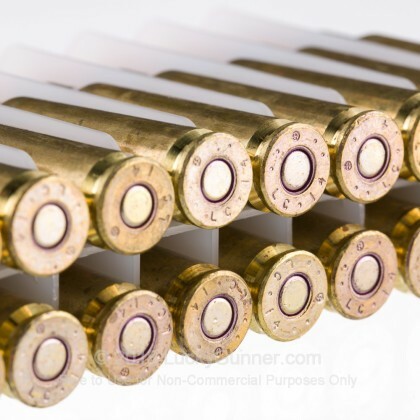 These high quality rounds come packaged in a brand new M19A1 ammo can. 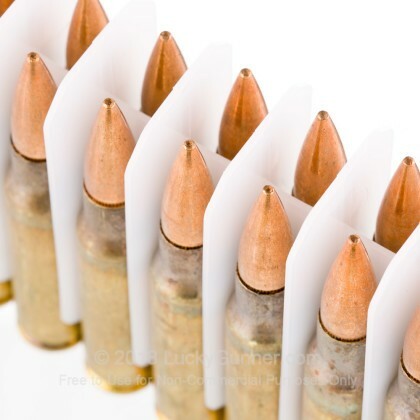 With 220 rounds of this high quality, NATO spec ammo, you will have a blast out at the range! Great prices,products,Customer service and lightning fast shipping all add up to Awesome. I am a repeat satisfied customer. 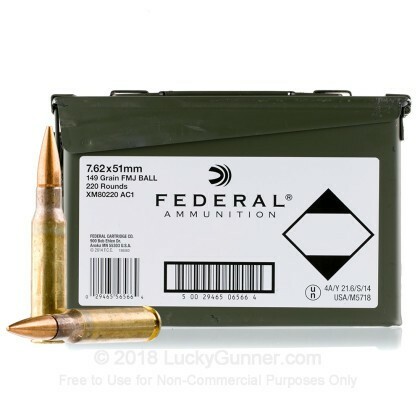 This is quality federal ammunition and the ammo box is great for storage or transporting rounds. Ammo up my friends!